“Pineapple Wine” not only appeared on Morgan Heritage’s 2017 Avrakedabra album but the song received the remix treatment with Common Kings and Fiji assisting the reggae band. Now the video for “Pineapple Wine,” is showing exclusively on Pollstar.com. Susan Ruth is a fantastic Human and her Podcast, " Hey Human," is pretty incredible too. Take a listen. And please subscribe, share, comment to support Susan. Thanks! You can listen here. I recently talked with the amazingly talented, and new york times best selling author, J.T. Ellison about my new album! check out the full interview HERE. Join me in the lounge for Hotel Nashville where I'll be joining Rosalie, Kurtis John, Stevie Rae, Jude Johnstone, Joel Jorgensen, and Sarah Aili. Hotel Nashville is California songwriters that are now living in Nashville. Don't miss this awesome line-up! Reserve your seats by clicking HERE. Come on out to Belcourt Taps at 9pm to hear myself, Shelly Riff, Alissa Griffith, and Kelsey Harmon! It's going to be a fun night! It's a free show - so just come on out, no ticket needed! I love performing at Bluebird Cafe, but this show is going to be exceptional! I'll be joining Jamie Kent, Tim Jackson and Anthony Peebles in the round. Seriously, don't miss this one! 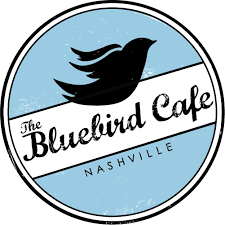 It's always an unforgettable night at the world-famous Bluebird Cafe! I'll be joining Katelyn Clampett and others in the round. I hope to see you there! Reserve your tickets the week before on Thursday, December 14 at 8:00am by clicking HERE. PWC and the Brentwood Family YMCA presents our annual Songwriter's Night at 3rd and Lindsley in Downtown Nashville. Please join us for music from songwriters Jeffery Steele (My Wish, What Hurts The Most), Danny Myrick (She's Country, I Love This Life), Bridgette Tatum (She's Country), KASL (featuring Kurtis John, Alissa Moreno & Casey LeVasseur) and more for a evening of incredible music. All proceeds will benefit the Brentwood YMCA's Annual Giving Campaign and outreach programs. Tickets are available HERE. Tin Pan South is the world's largest songwriters-only festival that focuses on the songwriters. Currently in its 25th year, the festival boasts 300+ songwriters, produces 90+ shows, over 5 nights, in 10 different venues throughout Nashville. Tin Pan South is produced by and benefits the Nashville Songwriters Association International. It's always an honor to play this festival. I look forward to seeing you March 29 when I take the state with Jedd Hughes, Granville Automatic, and Dustin Christensen. More information on the festival and tickets, click HERE. Join me for an amazing evening at the local favorite, Listening Room Cafe. I will be joined by Kurtis John, Tim Riehm, Alissa Griffith and Casey Le'Vasseur. And let's be honest, you never know who might join us on stage at the Listening Room! I'll be in the round with Granville Automatic, Adam James, and Derik Hultquist. This show is guaranteed to sell out so make sure you get your reservations early. You never know what's going to happen at the Bluebird! Come join us and find out. You never know what you get with this crew. Looking forward to a fun evening and some magical music at the Listening Room with Tamara Stewart, AJ Kross, and Bruce Wallace. The Workplay Theatre has an amazing sound, and I can't wait to join Kaci Bolls and Marcia Ramirez for what will be unforgettable show in Birmingham! Please come join us for an evening of hit songs and new songs. There ain't a bad seat in the house. Join me along with Shane Stevens, Jamie Houston and Nash Overstreet! This is going to be a GOOD one. The YMCA 15th Annual Songwriters Night featuring Jeffrey Steele, Tom Douglas, Alissa Moreno, Jamie Floyd, Kurtis John, Brennin Hunt, Rob Crosby, Derrick George and MORE! This is annual favorite. So many amazing artists. I hope to see you there. Trebeache presents For the Love of Music. Produced by First Note Entertainment. For more information, click HERE. Brentwood Family YMCA presents our annual Songwriter's Night at Puckett's Grocery in Downtown Nashville. Partnerships from songwriters Jeffery Steele, Charlie Crowe, Phil Barton, Alissa Moreno, Kurtis John, and friends make for a evening of incredible talent. All proceeds will benefit the Brentwood YMCA's Annual Giving Campaign and Y-CAP outreach program. The show is from 6:00 - 10:00. For ticket information, click HERE. A Fall Festival & Benefit Concert combined with the hope of transforming lives through the power of music! Join us as we share about our powerful songwriting program, "Beautiful Minds" - a program of The Beat of Life for adults and teens battling depression/suicide and mental illness. Featuring Country Recording Artists "The Farm." The Music City Hitmakers - A one-of-a-kind music event with Nashville's hottest hit songwriters, Brett James & Jessi Alexander. And featuring Alissa Moreno. Oct 29, 2015 at 6:00 PM. Click HERE for more information. The Florida Restaurant and Lodging Association (FRLA) in conjunction with Broadcast Music Inc. (BMI) is thrilled to present a FREE concert series at The Village of Baytowne Wharf at Sandestin Golf and Beach Resort in Miramar Beach, FL. The sixth annual event will showcase more than a dozen BMI songwriters who will sing country’s biggest hits and share the stories behind the songs. For more information, click HERE.